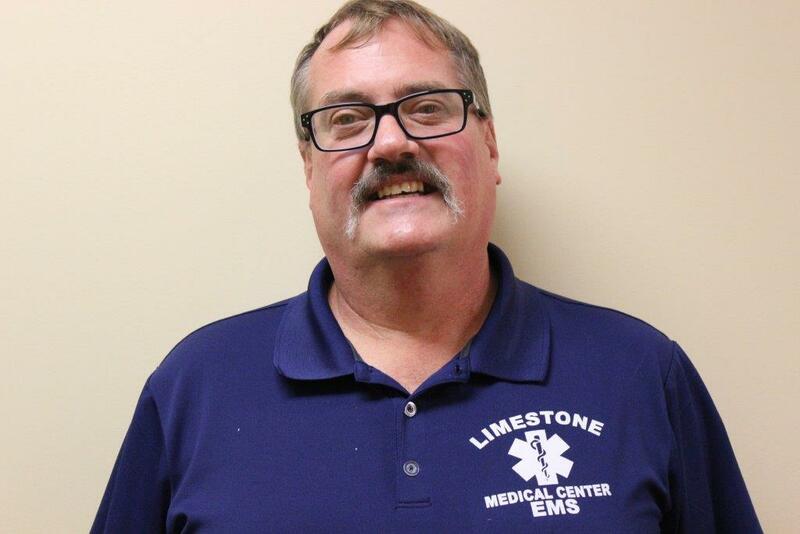 Limestone Medical Center’s Emergency Services Team has a long history of serving the people of South Limestone County. We have a professional staff that operates two BLS with MICU capable ambulances. Our EMS staff prides itself on community service by being a fixture at almost every local event. For more information regarding Emergency Services, including standbys and patient transfers, do not hesitate to call, 254.729.3097. 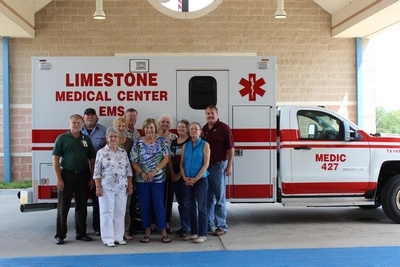 The photo above shows LMC Foundation Board Members and LMC staff with the New Ambulance purchased for Limestone Medical Center by the LMC Foundation. This ambulance purchase was made possible with funds that were generously donated by Mary Helen and Bailey Campbell earlier this year. The new ambulance is a 2015 Chevrolet 3500 Dumax Diesel with a Frazer built Box. The ambulance is equipped with the latest mobile intensive care equipment, a new power lift stretcher, and a 12 lead EKG cardiac center with blue tooth technology so the staff may communicate hospital staff while patients are in route. LMC EMS operates with three full time ambulances to take 911 calls in Limestone County and transport patients.